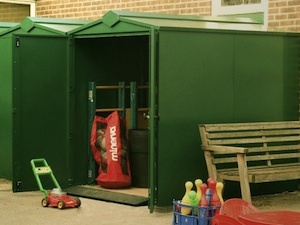 Secure units can be safely used to store equipment, valuable machinery or garden tools. They are often used in schools for extra storage space, and for convenient storage of apparatus. All units are built from high grade steel and designed to be very secure and weatherproof. Please contact our sales team for more details.